Before LRTimelapse, I was creating time lapses that were impressive to me at the time, but pretty bad now that I look back at them. Back in 2011, I began experimenting with time lapsing thunderstorms. By 2012, I was hooked and was wanting to take my time-lapse photography to the next level. While it was cool to time-lapse a thunderstorm, the sequences I was producing had enough flicker to make you think I was shooting near a strobe light. In frustration one night, I began searching the internet looking for a way to remove flicker. To my surprise, I came across a little piece of software called LRTimelapse. LRTimelapse promised to help ramp time lapses, and remove flicker. I remember feeling very skeptical about this software. Like many photographers, I’ve spent hundreds of dollars on software, and plug-ins in the past, to only find myself disappointed time and time again. Many times software companies promise mind-blowing results, but yet many times it felt like the “average Joe” could not replicate the results promised. LRTimelapse was different. It did EVERYTHING it promised and exceeded my expectations! I was honestly blown away by how easy it was to use and how intuitive the software was. It even allowed me to challenge myself to learn and master complicated “holy-grail” time-lapse sequences. The e-book that is also sold, helped tremendously as well. After downloading the FREE evaluation version, I began to test the program. Within a few clicks, the software quickly spotted the flicker. I saved the recommended changes and started rendering my time lapse. WOW! The flicker was gone! This software worked, and I was stunned at how easy it was! I also remember thinking, “this must be beginners luck!” So, I went back and tried it on several of my previous time lapses. It worked for all of them as well. Goodbye flicker, and hello more professional looking time lapses! LRTimelapse 5 | The Best Version Yet! Lets me be honest, I feel like I’m going to sound like a company executive giving a keynote presentation on why you should upgrade. However, I am not employed with LRTimelapse and never have been. Instead, I’m an affiliate, or better yet a pure fan of the product, who is trying to share my passion for a tool that has elevated my work to higher standards. I have been fortunate enough to experience the evolution of LRTimelapse from its very first version until its latest release of version 5. While I can honestly tell you that I’ve enjoyed the program from day one, I’d be lying to you if I said to you that I could remember how each version differed from the other. However, I can tell you this, LRTimelapse 4 was a game changer, and LRTimelapse 5 improves on what made LRTimelapse 4 great! Seriously, this version has taken LRTimelapse to a level where my wish list for the program is nearly non-existent. The only feature that I would love to see is a way to remove “dust-spots” easily from time lapses, but that may be wishful thinking. LRTimelapse 5 is an excellent piece of software. The new multi-pass deflicker is time-saving, and the improved holy-grail wizard has become more powerful than ever before. 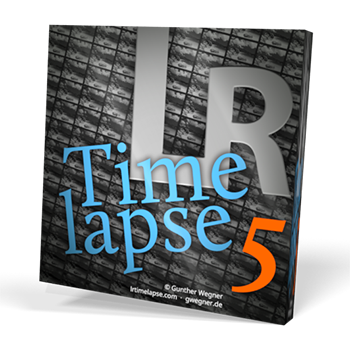 For more information about LRTimelapse 5, click the link below.